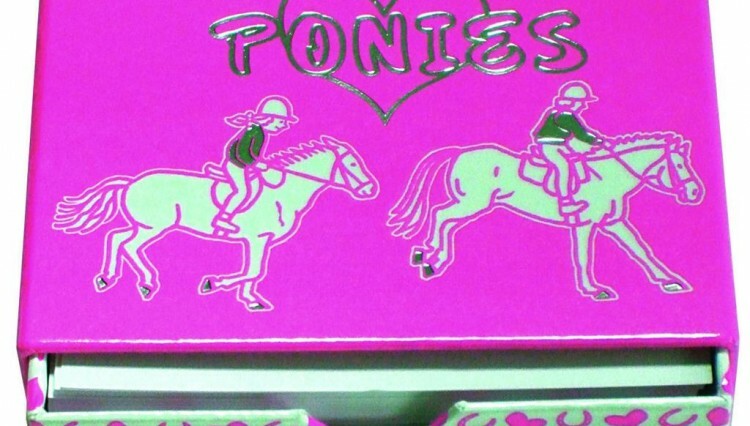 Don’t despair if you are unsure what to buy the younger horsey generation! 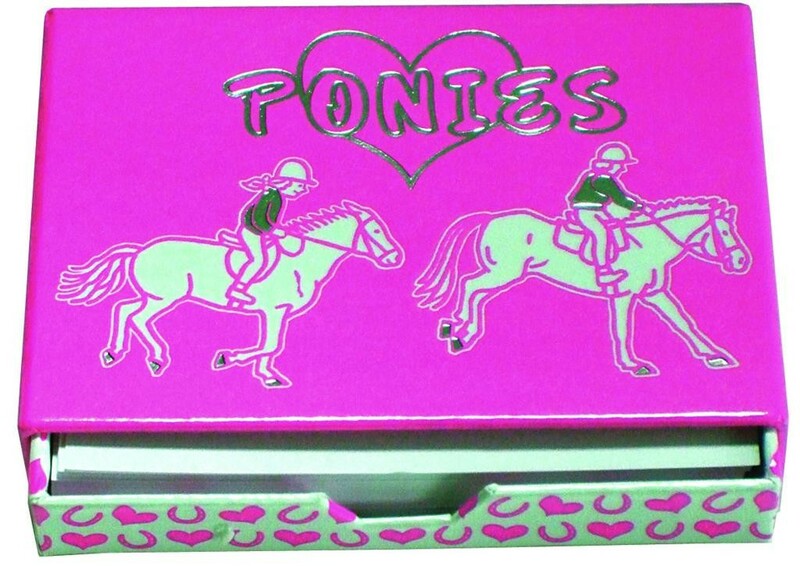 The Love Ponies Stable Memo Block is the ideal gift for the young pony fan. An ideal way to store memo sheets and includes a stock of blank memo sheets. 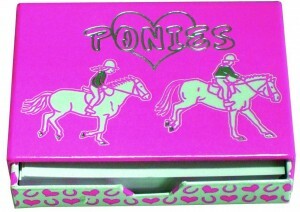 Also in the range is the Love Ponies Drawer Memo Box and the Love Ponies Accordion File. 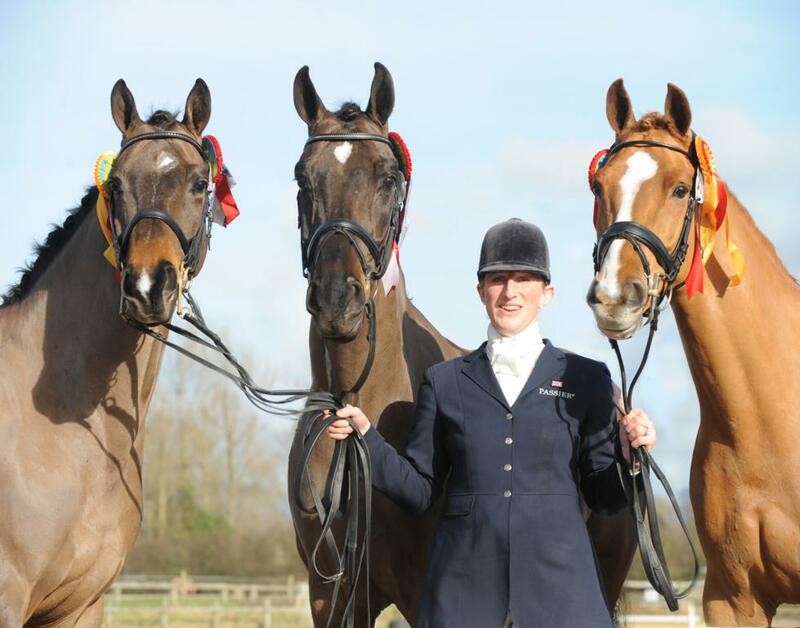 Prices start from £2.99.